BERLIN -- German consumer rights group myRight will appeal against an expected defeat on Thursday in its first case seeking compensation from Volkswagen over its emissions scandal and plans to file more cases soon. The automaker has pledged billions to compensate U.S. owners of VW diesel cars, but has so far rejected any compensation for the 8.5 million affected vehicles in Europe where different legal rules weaken the chances of affected customers winning a pay out. The regional court in Brunswick in VW's Lower Saxony home state is due to rule on Thursday on the first case brought by U.S. law firm Hausfeld on behalf of myRight. 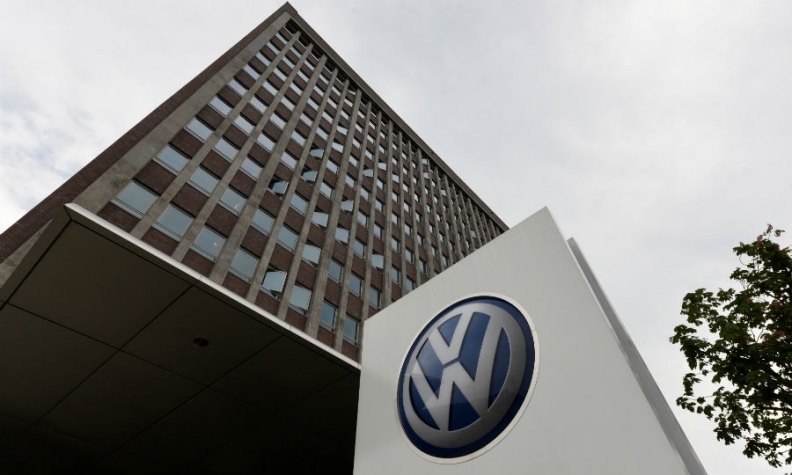 Hausfeld represents aggrieved VW owners and shareholders on both sides of the Atlantic. MyRight has accused VW of breaching European Union law by selling cars with software that was banned under EU rules. MyRight said it planned to launch at least another 10 test cases on behalf of consumers after environmental group Deutsche Umwelthilfe brought cases in the 10 most polluted cities in Germany seeking to withdraw the license of affected VW cars. MyRight founder Jan-Eike Andresen said those cases showed the emissions scandal was set to escalate despite an agreement brokered by the government earlier this month to overhaul engine software on 5.3 million diesel cars. "The government is trying to show before the election that it has everything under control, but the opposite is true," Andresen said. "It is now up to the courts because politicians have sat back and done nothing." In Germany, test cases aim to resolve generic or common issues for other related cases, but unlike in a U.S. class action, they do not have the legal effect of resolving all individual claims. Separately, myRight has gathered 25,000 VW owners for a class action lawsuit it plans to file by October.